The spokesperson of Ministry of Defence apologized on Friday for the 'inadvertent' tweet to a former Indian Navy Chief Arun Prakash. Prakash tweeted a pic regarding a car and a flag on it along with a sign saying “IFA(WC)” and expressed his displeasure on misusing the flag. 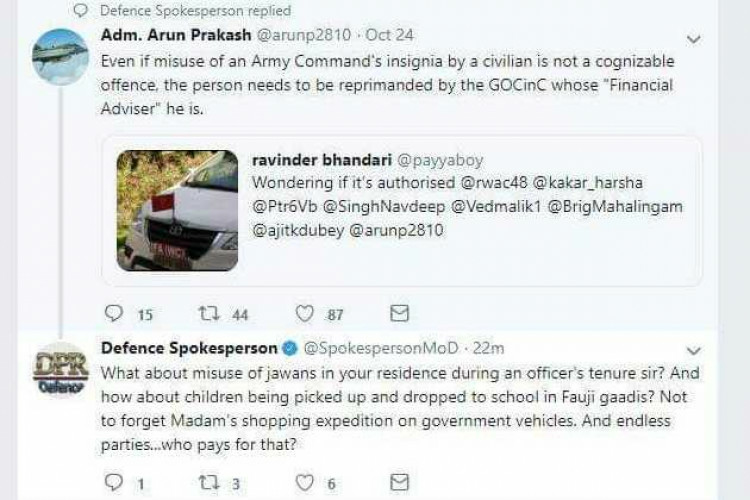 The ministry spokesperson replied and later deleted about the misuse of Jawans posted in his house, and that tweet angered many Defence personnel.